For years people have been writing quotes about how “music heals my soul,” “music is my therapy,” or as Marin Morris most recently puts it, “This is my church.” Even in scripture, music is encouraged and commanded as a practice of worship and expression of gratitude. The future King David first entered King Saul’s palace as a musician to ease the King’s melancholy or depression. So flash forward a few thousand years and here is what the latest scientific studies and trials are teaching us about the healing power of music. 1. Music improves invasive procedure recovery. In controlled clinical trials, those who listened to music prior to undergoing a procedure had lower levels of anxiety and needed less sedatives. Those who listened to music during the operation reported having less discomfort during the procedure. Finally, when patients listened to music in the recovery room there was less use of opioid painkillers. 2. Music restores lost speech. When someone has a stroke, the left-side of the brain can be damaged. This is critical because it is the region of the brain responsible for speech. Since singing originates from the right-side of the brain, this gives them the ability to work around the injury. These patient can begin singing their thoughts and then gradually drop the melody. You may remember the case of former U.S. Representative Gabby Gifford after a gunshot wound to her brain destroyed her ability to speak. Two years later she was able to testify before a Congressional Committee through this kind of music therapy. 3.Music reduces side effects of cancer treatments. Listening to music not only reduces anxiety associated with chemotherapy and radiotherapy, but it also has proven to help with the nausea and vomiting from chemotherapy treatments. 4. Music aids pain relief. – Gave people better control over the pain. 5. Music improves quality of life for dementia patients. The ability to engage in music remains intact until the late stages of dementia. With the help of musical therapy, they can recall memories,reduce agitations, improve communication, improve physical coordination. 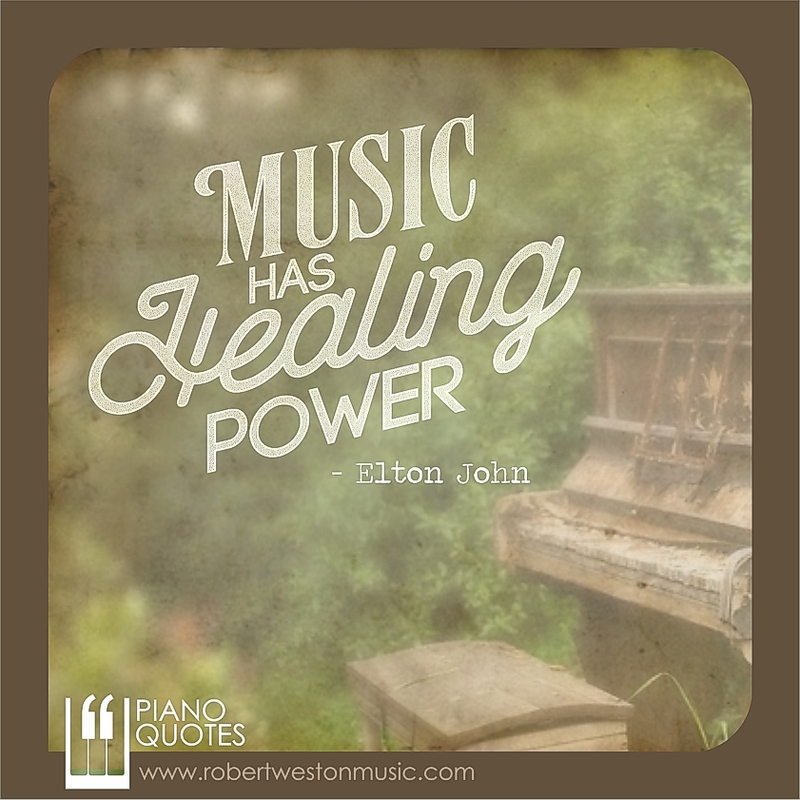 Obviously, in high school I had no idea about the healing impact of music…I was about to get a lesson. I had a teacher who’s mother-in-law was experiencing the later affects of Alzheimer. My teacher asked if I would be willing to come to their family Christmas dinner and play holiday piano music in the background. They really wanted to make this a special occasion, since her memories were fading fast and her health was declining. (Mrs Owens was one of those teachers for whom I would do anything.) As planned, I sat up my keyboards in their home. I played as their family talked, laughed, had dinner, cooked and cleaned. All night the elder Mrs Owens was captivated by the music. She kept going on and on about how special the music was to her. Before long, we were all talking and somehow I seemed to be more a part of the family instead of just the hired musician. Music is important. As many times as I try to tell myself it isn’t, I remember humbling moments like this.